It's 6 a.m. and still pitch black outside. We've been up since three, and at Tokyo's legendary Tsukiji Fish Market since four—on the ground early to make sure we didn't miss the morning's cutthroat tuna and uni auctions. Behold, our prize: this freshly-caught whole tuna—weighing in at 150 kilograms—now packed with ice and ready to ship. By noon, Mr. Tuna will have made his way to Narita and, later that evening, will be securely tucked away in cargo onboard a United Airlines flight bound for Newark International Airport in New Jersey where, within hours, the fish will be expertly sliced, prepared, and wrapped for the thousands of travelers coursing through Terminal C looking for a healthy grab-and-go meal. If the thought of airport food conjures sad visions in your mind of refrigerator cases filled with stale white-bread-and-sliced-American-cheese sandwiches, it's time to do your taste buds a favor and book a flight through Newark. There, both table-service and fast casual order-at-the-counter dining options have undergone a massive overhaul in the past few years, with a recently renewed culinary focus on ingredients and sourcing. 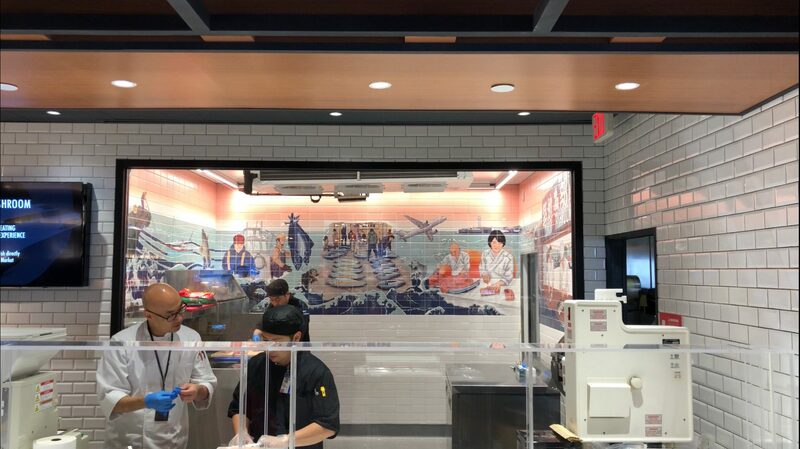 Case in point: Tsukiji Fishroom, which opened in the United Airlines departure terminal just two weeks ago. 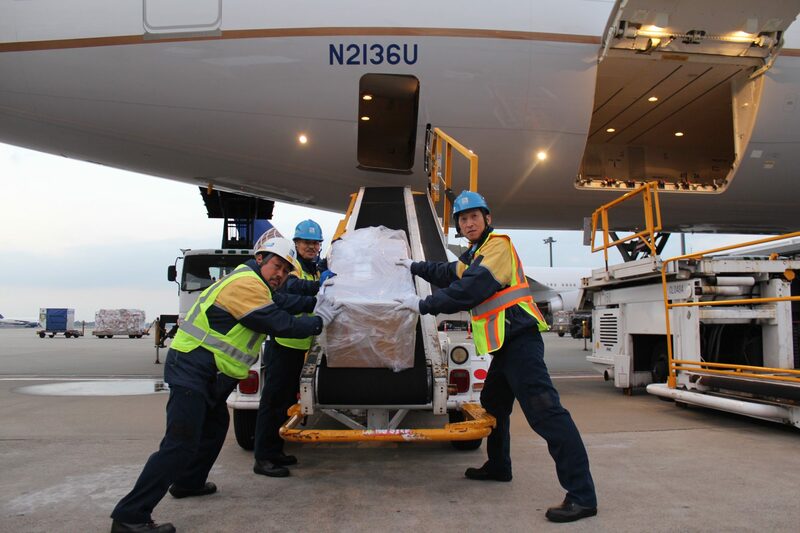 There, under the careful auspices of OTG Management, between 200 and 300 pounds of fish arrive weekly, flown in direct from Japan's most legendary fish market, which is arguably the best fish market in the world. "The fish comes in whole, and once it arrives, it gets delivered to these gentlemen who process it in this temperature-controlled room," explains Daniel O'Donnell, from OTG's culinary department. "That fish moves up here and is sold. This case replenishes itself consistently throughout the day." Let that sink in for a moment: For just a few bucks, in a grab-and-go set-up, you can pick up sushi cut from some of the best fish in the world, fresh off the plane, direct from Tokyo, sourced from the same fish market that supplies some of the best Japanese restaurants (think: Nobu) on Earth. Fresh fish from Japan isn't the only change you'll see at Newark this holiday season—anyone in the mood for noods will find freshly made-on-premises pasta served in restaurants throughout Terminal C (including at my personal fave: ramen restaurant Kaedema, a concept opened in collaboration with Chef Shoushin Yanaura, the noodle luminary behind the Bassanova ramen mini-empire, with outlets in both Tokyo and New York City). And there's even something new for VIPs and secret eaters: Classified, United Airlines' invitation-only dining concept situated down a long corridor—essentially a hidden anterior space with dramatic views out onto the tarmac—that's reached after making your way through French brasserie Saison, near gate 120.